In this training course article series covering how Smart Money (SM) trades in the currency market we have covered quite a bit of information. If you haven’t yet read the first two articles in the series entitled Learning to Trade Forex With Smart Money I recommend you go back and do so now. The first two articles in the series covered the problem with most trading strategies, and the second article in the series covered the very basic foundation of how SM trades in and moves the currency market. We also learned the all important fact that consolidation is accumulation. Through the rest of this article we will cover and break down the 3 phases banks use to drive the market. Lets begin! Plain and simple without accumulation SM cannot and does not take a position in the currency market. Therefore accumulation is the first phase of the bank trading system, and must be identified when looking for a setup. SM has no option but to enter the market through periods of accumulation which is often seen visually to you and I as sideways consolidation. Normally you will want to see at least an hour of sideways accumulation, with the market on average accumulating for a few hours before moving off into one of the next phases. This stage is absolutely critical to the trade setup. As discussed in the second article of the series, because of the sheer volume of currency SM moves they MUST enter their position over the course of time so as not to spike the market thus giving away what exactly they are accumulating. Additionally by entering over time and keeping price relatively stable they are able to achieve a much better overall entry price. Accumulation is often found in choppy back and forth price action as discussed above but what other ways might SM accumulate their overall position. This is where things begin to get interesting. Often times after the initial accumulation phase there is a secondary accumulation found in the form of stop hunting. As an example lets assume SM was accumulating buy orders and the price was in a tight channel between 1.5000 and 1.5020. Once SM reaches their desired position size or close to it you may then see them run the price down through the 1.5000. How would doing so benefit SM. Think about what type of orders sit right below any major support level. You have stop loss orders from anyone who was long (thus a sell order) and you also have sell orders for those looking to trade the breakout down. Therefore by running the price below the support they thus drive the price into an area where many sell orders have accumulated. At this point they quickly buy up every sell order they can, knowing they are going to run the price up shortly. They are able to complete the last portion of their accumulation through the use of stop runs, filling those last orders at even better prices! This is quite the crafty tactic, but it works every time. They know retail forex traders are predictable and thus clearly know where traders will place their limit orders. During the accumulation you do not know what is being accumulated. However all that changes once you see the stop run. In our example above price is ran below support in an effort to trigger sell orders that SM quickly buys up. Therefore after the stop run forms we know they accumulated buy orders, and thus if they used the stop run to accumulate buy orders more than likely the accumulation prior to the stop run was the accumulation of buy orders as well! That information if huge! If you know they were accumulating a long position then you are almost assured the price will later go up in a fairly sizable way. If you had only this information, you could make precise day trading decisions and over time with practice clearly identify which direction SM was going to push the forex markets. While this is a large part of the equation this leaves out the phase of price manipulation and then the precise entry signal called the Jump Bar which gives us even further clarity! 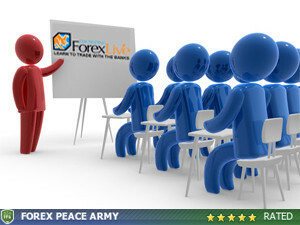 Manipulation in the forex market often comes following the period of accumulation. During very aggressive times you will see the market go immediately from accumulation to the third phase called market trend, but this however is not the most common. The one time this does occur with some consistency is when you see accumulation and then a clear stop run as described above. Often times immediately after stop run reversal trade setup the market will go straight into the trending phase. Again this is less common than the market moving into manipulation from accumulation. This manipulation period is very simply a time of what seems like random swings back and forth in the market. Again the key with manipulation is the same as a stop run. The same as the stop run tells us what SM is accumulating, manipulation does as well. Manipulation moves that are quickly rejected are identified as intentional misdirection and this this shows us what SM has been accumulating. Intentional misdirection is something that should be saught out in the forex market. While we never know exactly when and where we will see this misdirection, we are able to use it after it has already formed. Essentially once a period on accumulation has been clearly identified we then must establish what was accumulated. If there is a false move down of maybe one or two candles and then the price is brought back quickly above the accumulation we can assume the first move down was intentional misdirection. What would clear misdirection down that was quickly rejected back up show us? Without getting to deep into the subject, all markets are made up of either a belief in higher prices or a belief in lower prices. If SM can run the price down breifly how might this change overall short term market belief? Common sense would tell you it would sway beliefs more towards future prices moving lower. If someone believes in lower prices they are more likely to sell and would be much less likely to go long without major changes in the market. Again it all goes back to SM needing someone to sell them currency if they are looking to buy, and therefore this is as well used as an accumulation tool. Therefore if it was again used to trigger sellers in the market we can be assured that the previous accumulation was more than likely buys. This is the base foundation of manipulation and intentional misdirection, and I will discuss this further in later articles. This is the final phase in the cycle created by SM. During this cycle the market often goes into a very aggressive move with small retracements along the way. This is a time where SM wants the rest of the market to join in. Why? Lets assume there has been an accumulation of buy orders and the market begins to trend to the upside after SM finishes accumulating their desired position size. Remember when we talked about the fact that for every buy order in the market that gets filled there has to be someone to sell it to them, and for every sell order that is processed someone must buy it from them? Therefore as the market goes up and the average retail trader comes in to buy the market that has started up SM begins to sell their position to those entering the market. This is in large part responsible for the retracements in trending moves. Without people continuing to buy on the way up SM would have no one to unload their position to and thus they would be stuck with it. This is also why their accumulation is limited to what they think they can get rid of later. To small of a position and you limit your profit potential, and to large of a position and you could be stuck holding a negative position. Its a very fine line that SM must walk with every trade. So we’ve identified the 3 phases of the market which is the complete SM trading strategy, but how does the average retail trader go about taking advantage of this information? After all its one thing to know what SM does, and its a completely different scenario to actually be able to take advantage of it. Initially when I set out to complete this forex education article series I had planned on making it all textual. However after trying to explain exactly how to use the banks day trading strategy I realized I could not achieve a full and complete explanation without using video as well. Therefore the explanation of the SM forex strategy is complete, and now we move on to the application of it which is what everyone reading this really wants. Next to be released, the video covering the exact trading strategy entry rules, take profits, stop loss, and trade management. Thank you for every word , I was wondering and asking my self questions , I think I am thankful to you for giving me a lot of answers .. I must have missed something because………..
….I’m having a problem with your logic…..In the first part you talk about how the broker bucket shop takes the other side of the retail trader’s position….the retail trader’s order never gets into the market…….yet in the next two parts you talk about how the SM is suckering the retail trader into taking the other side of SM’s positions….which is it?….Does the retail trader trade against the broker …or against SM? How does SM accumulate positions with retail traders who’s orders are not available to them? Also how are the few retail traders able to take the other side of TRILLIONS of dollars worth of orders? There are not enough of them…..I think the +50% banks must be taking advantage of the -50% banks…the smart money against that not-so-smart money……explain this seeming inconsistency please….whatever the reason …there is no doubt that the market moves in the way you have described ……whether the reasoning behind it is correct it seems to be true…….Thanks for helping the lowly lost and down trodden retail trader…….trading is NOT easy……. Thank you for your question. Your right the bucket shops do take the other side to your trade. Understanding this gives us a strong indication to the ways we should NOT trade. If a bucket shop teaches a certain strategy that means they know we will fail with it and thus why it should be avoided. Not all retail traders use bucket shop brokers. For example FXCM standard accounts have straight through processing, and as time goes on more and more are using this method. You have to understand that smart money is not just searching out and manipulating the orders of what you and I would term retail traders…. I hope this helps clarify things and it sounds from your comment that you can see this manipulation. Your breaking the mold and that’s the first step. Feel free to shoot us back with any more questions. STP or straight through processing is nothing more then a technical and automated way to process incoming trades from retailers. Its not because a broker uses STP that it always means they would not consider trading against some (or all) of the incoming trades. Although its boring to read the Terms, it is informative as well ! ECN brokers platforms cannot take an order with SL & TP in it at the very same server access as the entry of the position. There is a second server access needed to place SL & TP, which means that ECN has this extra server access time to fool us. Why dont we all become brokers ? Looking through your videos it all seams quite logical but, in all of the examples you show a trending market, and, if you’ve been around a while, you will see that any FX pair can go sideways for weeks… so what do you do then? how does SM appear there?